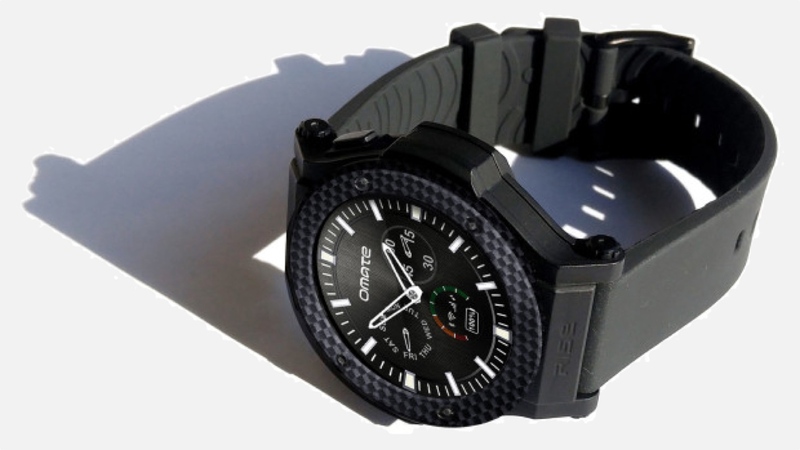 Omate announced its standalone Rise smartwatch last December on Indiegogo. After being successfully funded, the company is now offering up a limited edition complete with Amazon Echo's Alexa available for pre-order 1-3 September. But you don't need to order the limited edition watch to get Alexa on your wrist. The limited edition is simply for people who missed out on the first batch of Rise watches. Previous backers of the Omate Rise Beta Tester Edition will receive a software update allowing access to Alexa. With Amazon's Alexa, users will have access to over 2,000 skills straight from the wrist anytime, anywhere since the Rise watch is 3G enabled. That means controlling smart home devices, asking Alexa questions while receiving replies, and more. You don't even have to say "Alexa" before every question. According to Omate, all that's needed from you is a "press, hold, talk and release." It's not clear what you're pressing, and it could be a physical side button or a dedicated Alexa app. Omate has also partnered with company Ting to include a free Ting branded GSM SIM card for the Rise Limited Edition with Amazon Alexa. However service pricing has not been mentioned yet. Integrating the voice assistant certainly makes the Omate Rise more appealing even though the CoWatch is the first smartwatch to promise Alexa. It's still exciting to see Alexa make it onto yet another smartwatch. How well Alexa works on the wrist remains to be seen.